A steering control arm. You want sit comfortably alongside the wheel, where you can see better, and steer with your fingertips. Or you want to get on the rail because its blowing a bit, you want the weight change as well as a better look the the sails. 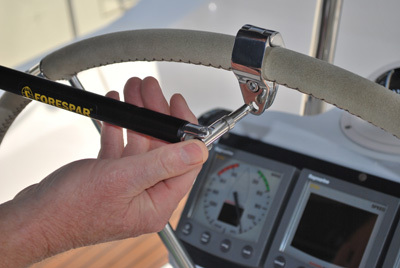 For that long reach or tack, especially on an lazy day, the steering control arm is just the ticket for a easy sail. Mike Dwight March 12, 2016 Category: Forespar Products in Use. 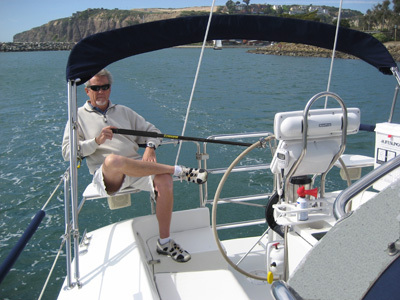 Tagged: Sailboat, Steering, steering control arm, tiller extension.